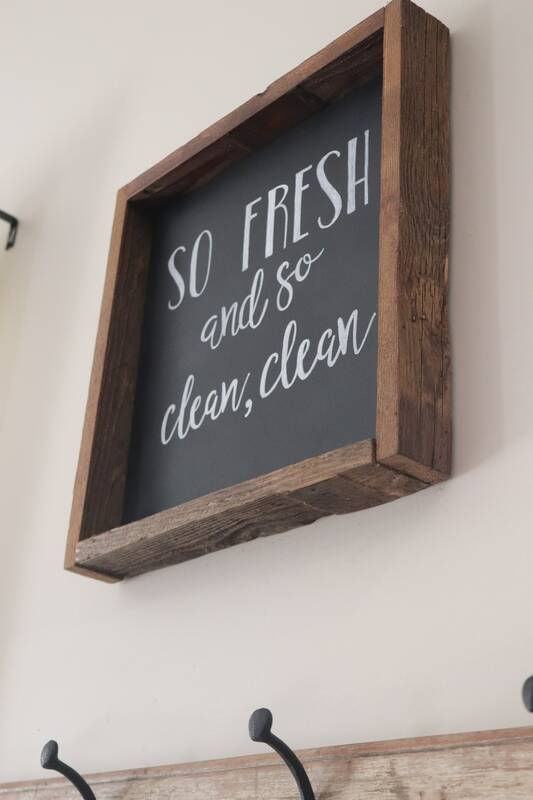 A simply stunning Black, white and wood sign created on a canvas and framed in barn wood. 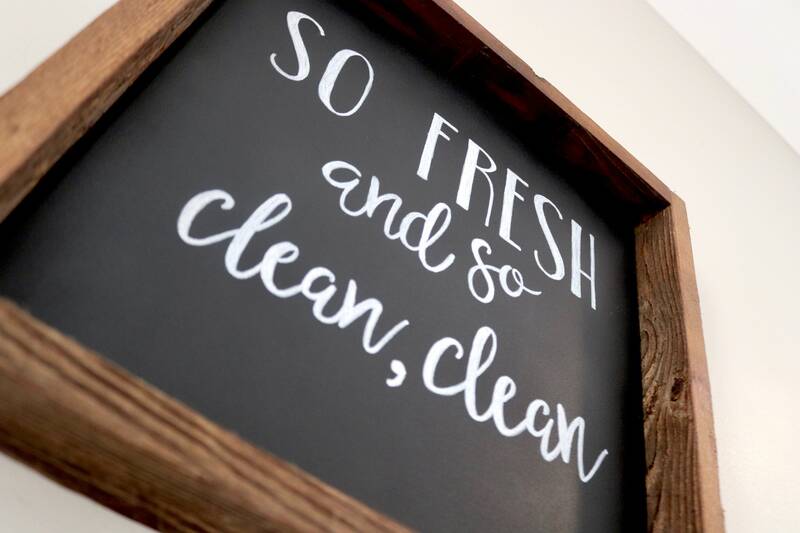 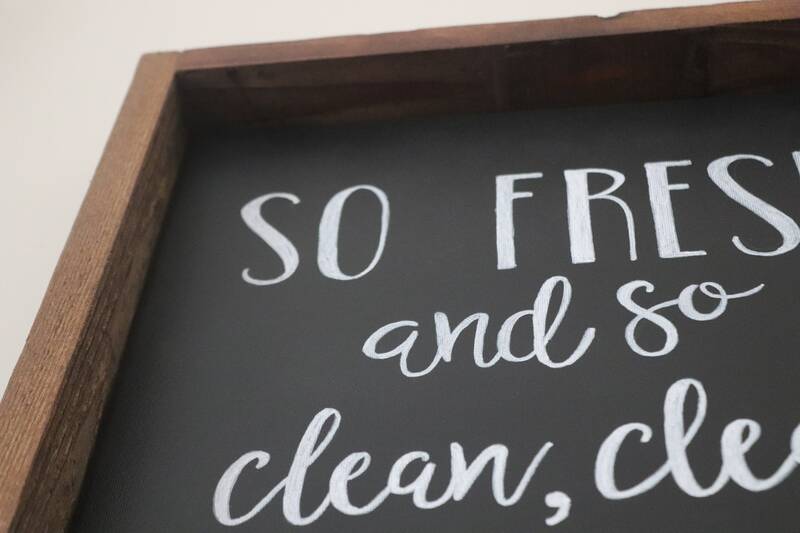 The saying, "So Fresh and So Clean Clean" is hand painted in white farmhouse lettering. 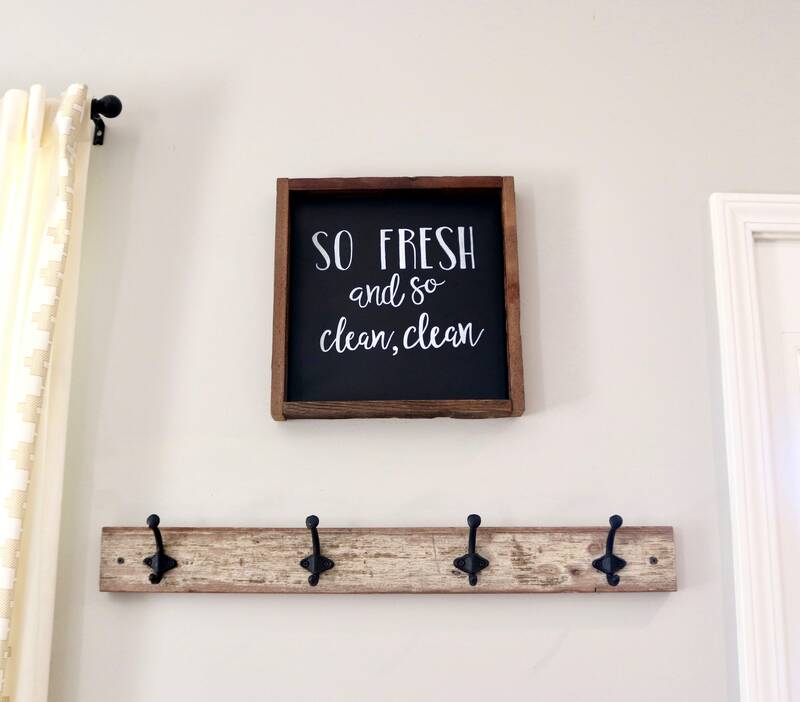 Hangs with a sawtooth hanger on the back center. 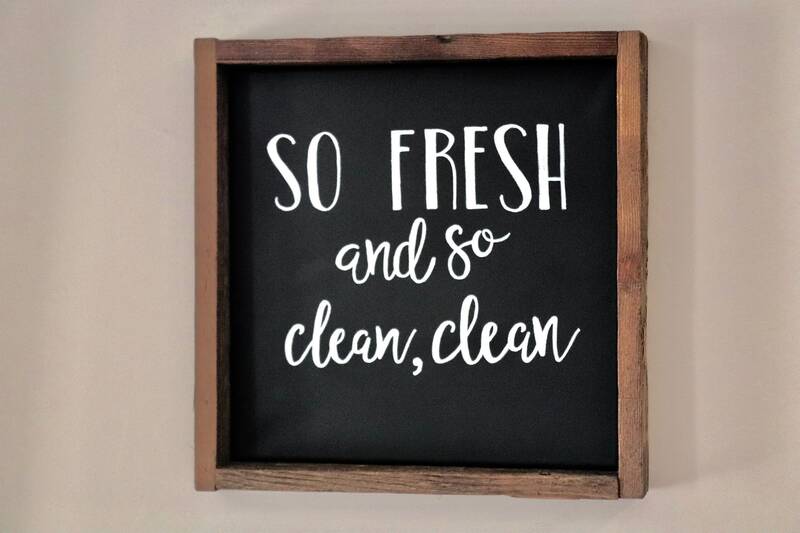 Size 14" wide by 14" tall by 2" deep.